The Club that touches peoples' hearts. 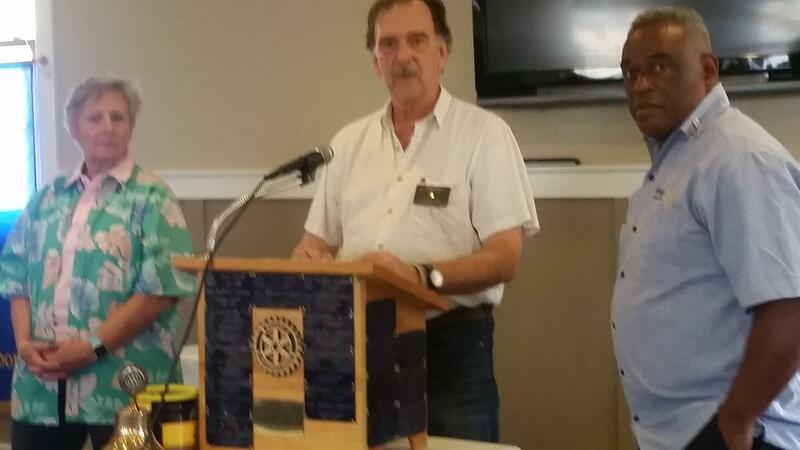 Jim Carriere has a ShelterBox wine idea! Jim Carriere sent the following announcement to Susan Lundy (and other Shelterbox supporters) as a personal email. Susan Lundy thinks it needs more publicity!!! I wanted to announce that there is a new way to support ShelterBox. Sno Road Winery in Echo, OR is now producing a 2013 "In Tents" Cabernet at $38/bottle + S/H. Pictures are attached. This is the normal price for many of their wines and all profit from these sales is being donated to ShelterBox. The owners are only recouping their production and bottling costs. I can tell you that the sale of each case will sponsor a Shelter Kit like the ones we are currently distributing in Syria and Iraq. Want to purchase? Call the winery direct at 541-376-0421. 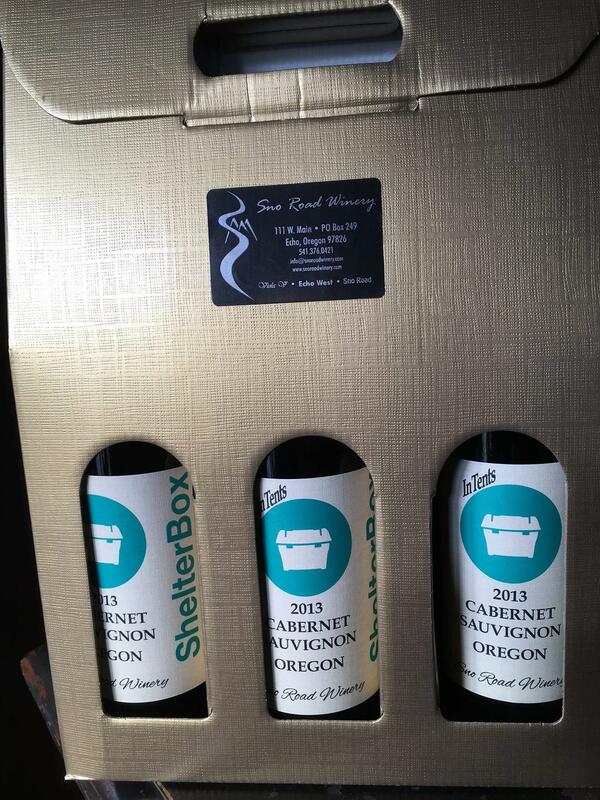 Have your credit card ready, tell them you want the ShelterBox In Tents Cabernet, and Lois will take it from there. Foundation Chair and Immediate Past President Hugh Murphy is showing shaking hands with Chris Major, our newest Paul Harris plus 1. Thanking Chris as well is President Carola Detrick! 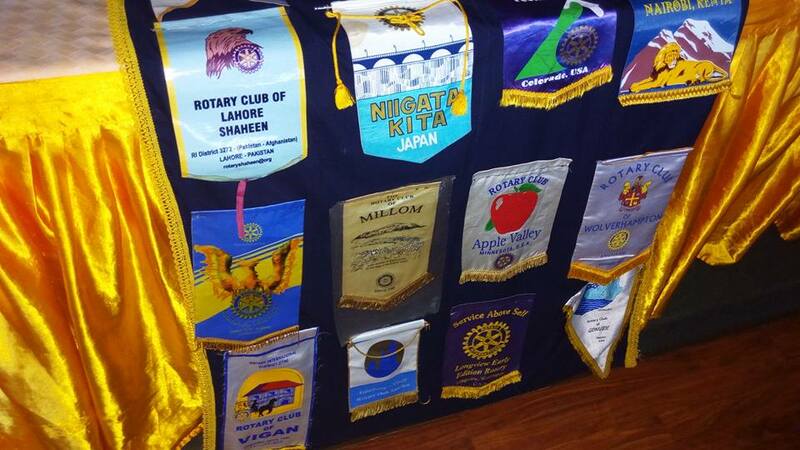 Stan Green presents President Carola Detrick with the banner of the Rotary Club of Tokyo, Japan. Within a couple of weeks, we will be having San present his travels in a program... Stay tuned! 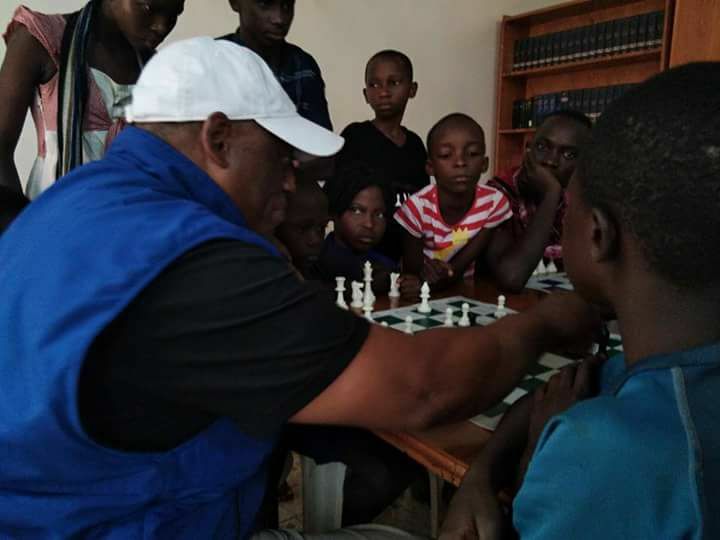 Chris spoke to us about his service work in Uganda, working with children, Rotarians, and chess players to help build water sources, work on building bridges among Rotarians everywhere. 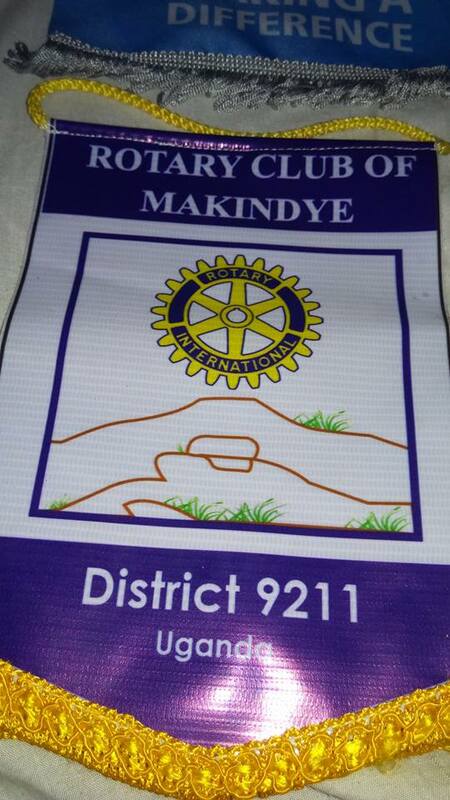 Banner exchange between Rotary Club of Makindye, D9211 Uganda, and the Rotary Club of San Rafael Harbor, D5150 USA. 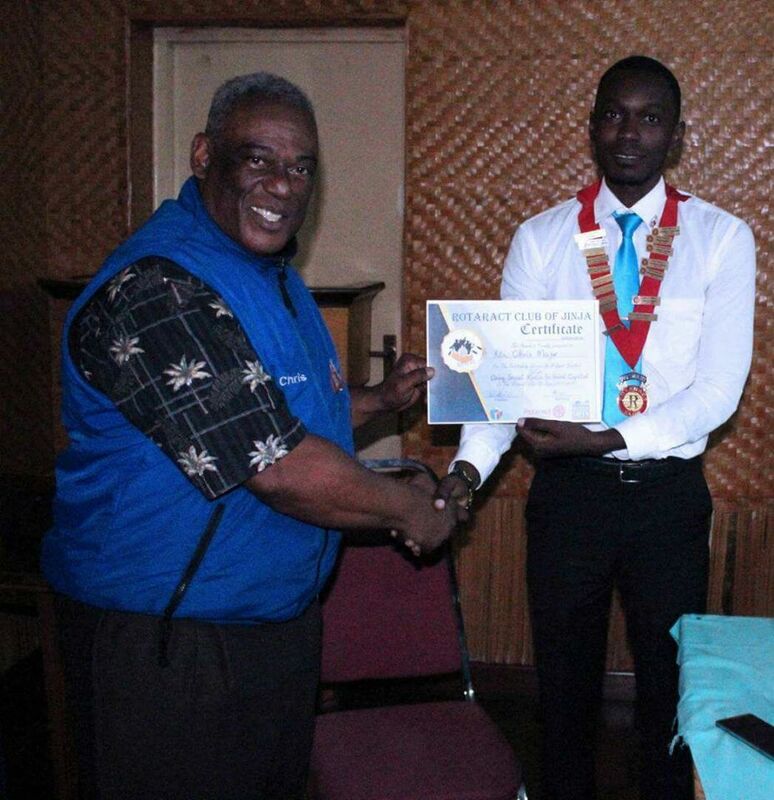 We also received the District Governor's banner, Kenneth W. Mugisha is a strong speaker, young and passionate about growing membership in Africa. 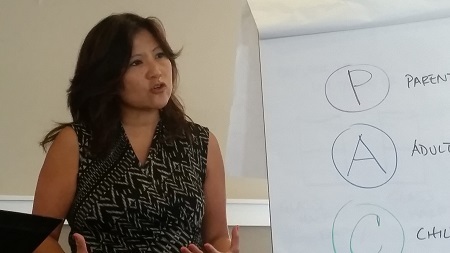 Linda Palermo, of Sandler Training gave inspiring, practical, and easy-to-implement tips for changing our sales techniques when working one-to-one with prospects. She also offered as a prize the best-selling Sandler book "You can't teach a kid to ride a bike at a seminar"! We really enjoyed her energetic presentation. 3. Supporting End Polio Now campaign. Finally, Carola asked all of us to come up with Social Projects and functions we wanted to have this year. She will report on that next time! 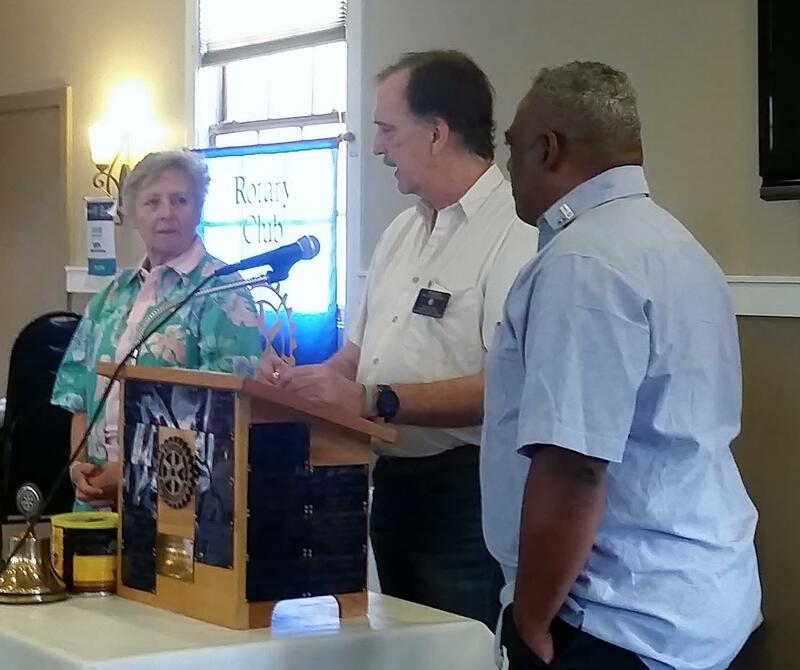 Contact either the membership chair or email INFO@HARBORROTARY.ORG if you want to join an active group of professionals volunteering in the community; we will invite you to a breakfast to meet us all.